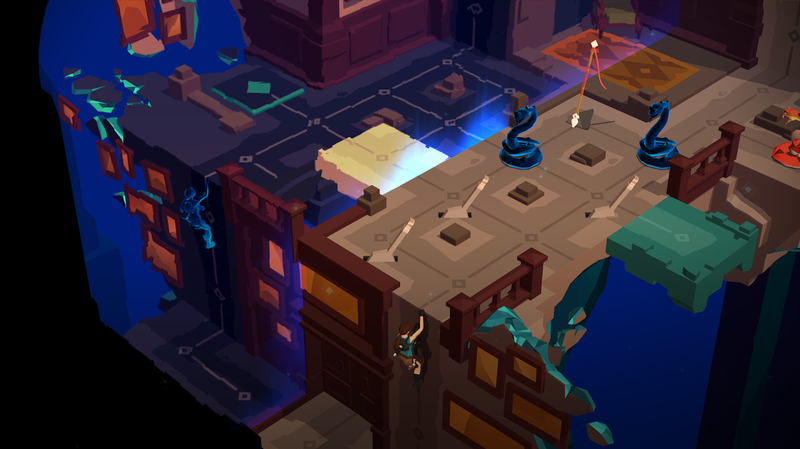 At PlayStation Experience 2016, Square Enix® Montréal announced Lara Croft GO®, the critically acclaimed Lara Croft® adventure, is now available for the PlayStation®4 computer entertainment system and PlayStation®Vita handheld entertainment system and is fully compatible with PlayStation®4 Pro computer entertainment system. Developed in collaboration with Montréal indie studio, KO_OP, Lara Croft GO will feature a new story chapter, “Mirror of Spirits,” which includes new puzzles, mechanics, achievements, trophies and more—available first for PlayStation. Lara Croft GO is now available for PlayStation®4 and PlayStation®Vita systems for $9.99/GBP7.99/EU9.99, with an added 20 percent discount for PS Plus Members . The game is also available on Steam this Sunday, December 4, 2016, featuring all of the original content with the ‘Mirror of Spirits’ story chapter following three months later. Additional platforms will be discussed at a later date.